(Newser) – The wait for spring isn't getting any easier. 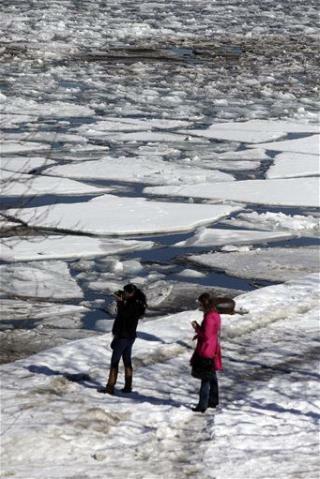 The northern US is in for more Arctic chills, LiveScience reports. While it won't be the season's coldest weather in absolute terms, it could be the coldest compared to what's normal for this time of year, an expert tells the site. He notes, however, that the "polar vortex" everyone's talking about has actually always been around; it's just that normally, the jet stream restricts it further to the north. Things get cold when the jet stream moves further south than usual as weather patterns alter. Don't you love it when Mother Nature won't co-operate with that idiot Al Gore? And yet Florida is having the warmest winter yet" go figure? I like the cold but anything under 20 hurts my joints. Anything under 10 feels painful like a burn, not cold. It always amazes me when my car starts at 15 below. Some guy was out looking for his lost dog when it was 5 above. I felt so bad for him. I hope he found his dog. It got to 10 below that night. I doubt if a lost dog could survive that.